Tibetan scholars and youth wrote to President Xi Jinping expressing their concerns about the state of the Tibetan language in China. An authoritative group of Tibet experts submitted a letter to China’s president in waiting, Xi Jinping, expressing their “deep concern” about the state of the Tibetan language in China occupied Tibet. Renowned Tibetologists, including Prof. Robert Barnett, Prof. Elliot Sperling, Samten Karmay, and Tsering Shakya, among many others, noted that Tibetan language is “seemingly marginalised and devalued” in Tibet at a time when it is “increasingly being taught and studied” in universities around the world. 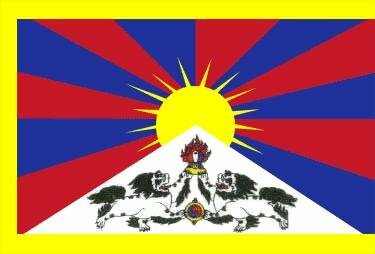 “As specialists in the areas of Tibetan language, culture and religion, we would like to share with you, through this letter, our own concerns about the various measures that jeopardise the continuing viability of this civilisation, a civilisation that is one of the treasures of humanity and for which the Chinese government has clearly stated its responsibility,” the experts said. They listed measures such as the replacement of Tibetan by Chinese as the medium of education (announced in Qinghai in 2010) and the replacement of textbooks written in Tibetan by Chinese textbooks — as was seen in Rebkong (Chin: Tongren) in March 2012. The letter took note of the numerous ways in which Tibetans, especially students, have made known their strong desire to preserve their language as the medium of instruction and communication in schools, including writing petitions to the authorities and leading street demonstrations. “Dozens of Tibetans of all ages, men and women, religious and lay, have committed acts of self-immolation over the last few years. Several of them have shouted slogans demanding respect for the language and culture of Tibet,” the letter states. Similarly, a group of young educated Tibetans in Dharamshala sent a letter to Xi, appealing the Chinese government to change its “faulty policies” on Tibet, which they said are the underlying factors for the crisis inside Tibet. The Tibetan Educated Youth Group, in a letter dated December 10, said China’s violent clampdown on the 2008 uprisings in Tibet and its policy of “more repression, more arrest, more imprisonment, and more killings” have resulted in the ongoing wave of self-immolation protests. The group further told Xi that inviting the Dalai Lama now will create an atmosphere for peaceful coexistence among the Chinese and the Tibetan peoples.